"I just didn’t know what you were running from...."
*K.A. Linde has released the first chapter of the book on Fiction Press!!!!!! This story is told from the perspective of the main character, Devon Sawyer's, point of view. She grew up in a well-to-do family with two parents that were successful country singers, and her siblings, Dustin, and Dani. She decided to go away to school in St. Louis, where she became best friends with Hadley, while being dorm room mates. Devon was a Freshman at the time, and Hadley was a sophomore. Hadley graduated a semester early, and moved to Chicago where it appeared she had become successful, and completely fulfilled. Devon decided the summer of her junior year, that she needed to get away, and hopped on a train to Chicago, to spend the summer with her best friend Hadley, and Hadley's boyfriend Garrett. She lied, and told her long term boyfriend, Reid, that she was going to Paris with her family for the summer, and told her parents that she was going to be in St. Louis with her boyfriend Reid for the summer. She didn't want anyone to know where she was (except for Hadley,) and it was obvious that she was running away from something. However, everything was not as it appeared. Devon, soon discovered that Hadley had secrets of her own, and that her life was not as perfect as it appeared. In fact, Hadley had a cocaine problem, and when Devon confronted her about it, the result caused a huge rift in their friendship. Also, Devon suffered from nightmares consistently, about a man chasing her, as she ran and tried to get away. This man then captured, and attacked Hadley. She woke up in a cold sweat, upset stomach, and deeply rattled from these nightmares repeatedly. Devon got close to Garrett who was an upbeat, and friendly person, as she talked to him about her nightmares, and life in general. They quickly became friends, and had a growing attraction to each other. Devon also met, the gorgeous, quiet, brooding bartender, Brennan that worked at a restaurant frequented by Hadley. He got Devon a job there for the summer, and the more time they spent together, their mutual attraction and feelings toward one another grew. However hard Devon tried to deny what she felt for Brennan, (because she had a boyfriend,) those feelings would not be pushed down. Brennan became a good friend, who was loyal, and tried to help Devon, and Hadley mend their friendship. He was a good guy, a talented musician, who played guitar, and sang, and was very attractive. I enjoyed, Following Me, by K.A. Linde, immensely. It was very different from her Avoiding series, in that the focus of the story wasn't romance, but facades, and it was just as amazing. I loved the mystery, and suspense of trying to solve the mystery behind Devon's nightmares. I was curious to find out where the stemmed from. I loved how the story developed at a good pace, with secrets revealed little by little. I found the four characters each interesting in their own way. It was obvious that each and every one of them had their secrets, and I was anxious to learn everything there was to know about Devon, Hadley, Garrett, and Brennan. I enjoyed reading about these well-rounded characters, the vivid descriptions, and dynamic plot. This story was unputadownable! Ms. Linde has proven her talent in capturing her readers attention, weaving a captivating, intense story that comes to life, and jumps right off the pages! 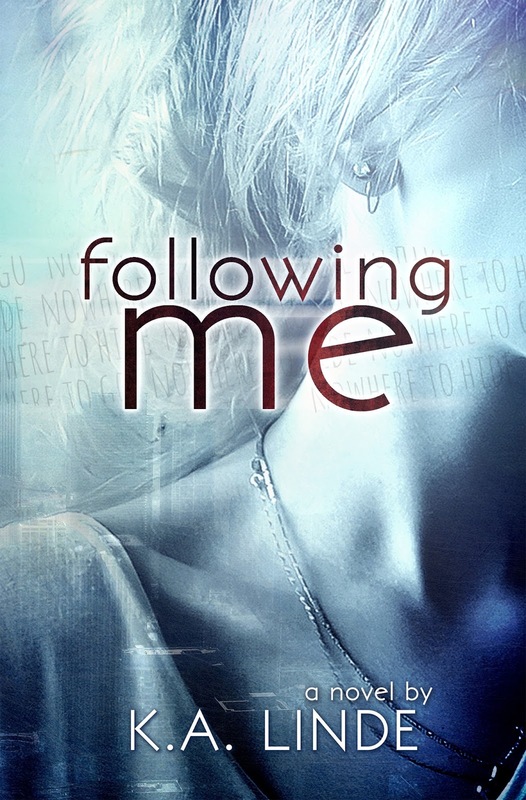 Following Me, is a book you don't want to miss!!! 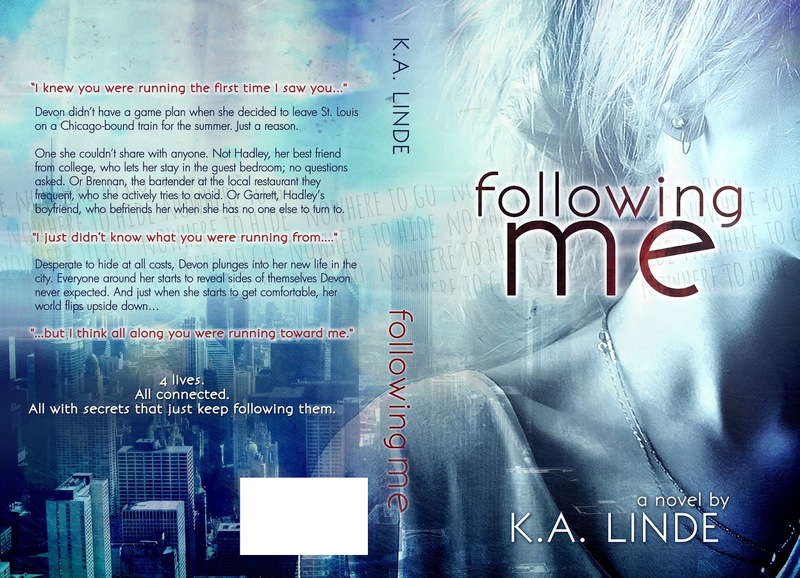 I give Following Me, by K.A. Linde, 5 Spectacular, Suspenseful, on the edge of your seat, stars!!! This story will grab you from the very beginning, as you are trying to figure out the mystery of Devon's Dreams, why she has left her life behind, and escaped to Chicago for the summer, Hadley's secrets, and more about Garrett, and the swoon-worthy Brennan! If you enjoy a story filled with mystery and suspense, with interesting characters, I highly recommend Following Me! K.A. Linde is an independent author and publisher who enjoys writing novels that keep you guessing to the very end. 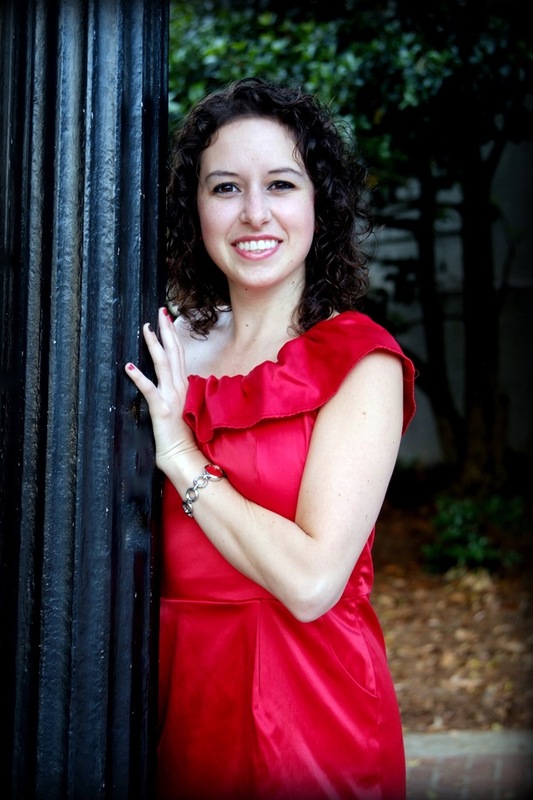 She wrote her first book, Avoiding Commitment, in 2009 while studying political science and philosophy at the University of Georgia. She received her Masters in 2012. She resides in Georgia and enjoys dancing in her spare time. She is currently working on Off the Record, a fantasy/romance titled The Affiliate and the third book in the Avoiding Series. to our blog! We are both honored and excited to learn a little more about you, and how you spend your free time. Dance – I danced in college and even started the Georgia Dance Team at the University of Georgia. I still coach the team and take pole dancing classes on the side. Read – I read mostly YA fantasy and dystopian novels. I recently finished Seraphina by Rachel Hartman and The Girl of Fire and Thorns by Rae Carson. Go to movies – Before I started writing all the time, I used to go to the movies almost every weekend. I saw Iron Man III in theaters and I’m really looking forward to seeing Man of Steel! Shop – Yeah…I’m a girl. Also, I’m a huge bargain shopper. I love to hunt the clearance racks. But recently I’ve just been buying more hardbacks, hoping I have time to read them in between all the books I’m writing. Cruise – Well, I suppose this should just say vacation, but I think some vacations are more relaxing than others. So maybe it should just say the beach…I’m not that picky as long as the beach is sandy and white with the ocean that I’ll never get in because I don’t like sharks. But cruising is awesome, because you get all that plus endless food, shopping, dancing, fun activities! Grand Prize $100 Amazon Gift Card!!! Excited to read Following Me...love Ms. Linde's books...can't wait...thanks for the great giveaway! It is a really great read! Thanks for stopping by Desiree! Great review, can't wait to read it! Great post. I will definitely be adding this to my reading list. Thanks for the giveaways! Awesome review. I definitely think this is a book that I would really enjoy. Thanks for sharing it. Awesome review Lindy! I like it when there is a bit of suspense in Contemporary Romance. Your Welcome Mikki! The suspense does make it even better! Good luck with the giveaway!!! Great review, added to by TBR list. Thanks! I'm sure you'll enjoy it! I can't help but want to read a book when it takes place in or near Chicago...even more so when it's written by KA Linde. I adore all her books that I have read and anxiously await each release. Thanks for the opportunity to win a copy form this great lady! Yeah, I'm a major K.A. Linde fan too! Good luck with the giveaway Jenny! What a gorgeous cover! This does seem like a very complex and interesting story. I'm very curious as to how Devon ends up handling the attraction to the different men. Thanks Caro! Yeah, I loved the suspense in the story! Brennan was pretty hot too! Thanks Lindy for a great review! I was wondering how this one was and you just sealed the deal for me! I also am adding it to my TBR! Great review!! Really looking forward to this one! !